The Jungle Teacher: This Airline Will Leave You Behind 20 Minutes BEFORE Time!!! This Airline Will Leave You Behind 20 Minutes BEFORE Time!!! This happened to me 2 times in the past few months. 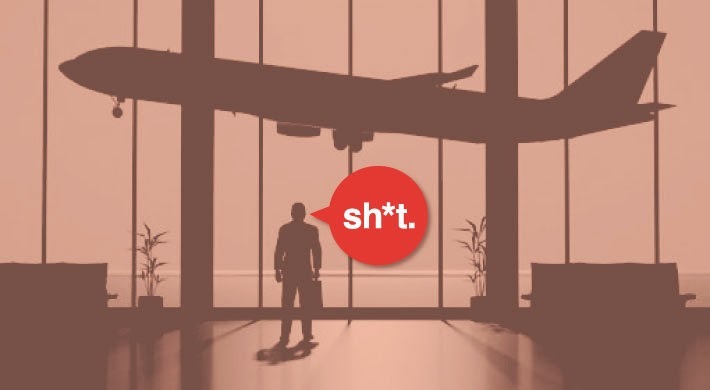 I arrived at the airport early, loitered around, called a friend, did some shopping & arrived at the boarding gate 20-25 minutes BEFORE departure only to discover that my plane had left me behind! (To clarify: I was at the gate at least 20 minutes before & the plane was GONE. Meaning the gate closed long before I got there.) The best thing was, it still said Boarding on the TV screen both times. I looked before I went to the boarding gate & after I've my flights departed early. The terms say that boarding closes 20 minutes prior to departure. Gotcha! Can't blame the airline for doing what they promised, can't I? I should have been more alert. Also, it's not as if the airline didn't help to remind me. The reminders were everywhere! There's a reminder at the door. There's even one on your Boarding Pass. It's peculiar. All the flights which departed early involved Sibu (SBW) as a destination or origin. 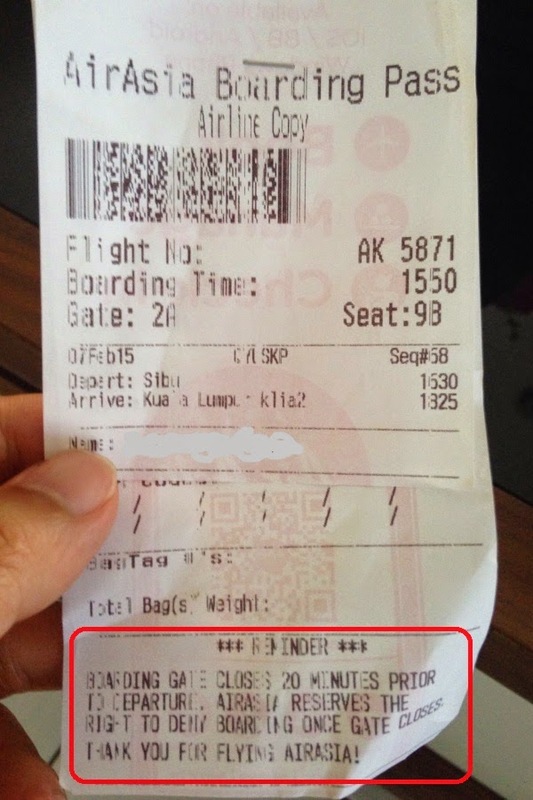 I never had this problem with flights involving Kuching, Kuala Lumpur or Penang. It could be that one particular captain is extremely eager to fly or the airline has found an innovative way to make more money. Whatever it is, we, the consumer, need to be aware that this budget carrier has this kind of power over us (especially if you're flying from or to Sibu) & perhaps it is time that we decided, as a society, to be painfully punctual for our own good. Good bye, Malaysian time. Hello, AirAsia time. 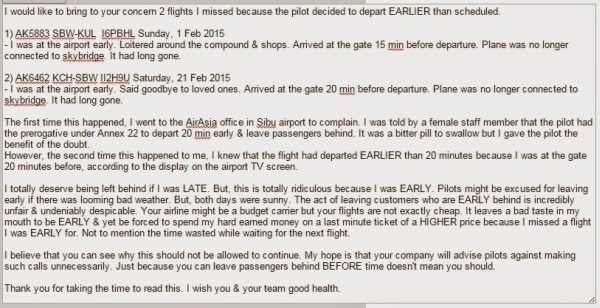 p/s: Check out my complaint letter to AirAsia. If you have a complaint, do write in here. They need our feedback to serve us better! Jangan tikam belakang! Bagi depan-depan! Forgive some of my typos. This was written in a hurry. Wishing you safe travels & may you never miss a flight! AirAsia sent me a reply! 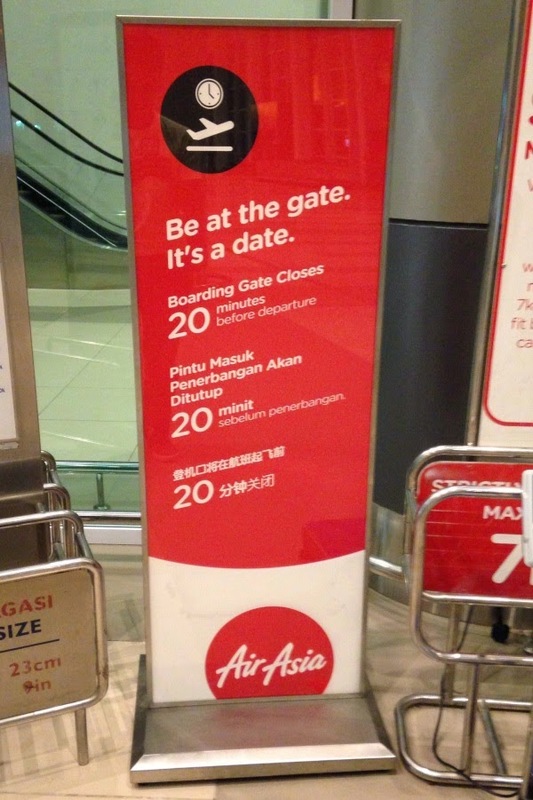 I learned how to save money when I missed an AirAsia flight. Read about it here.